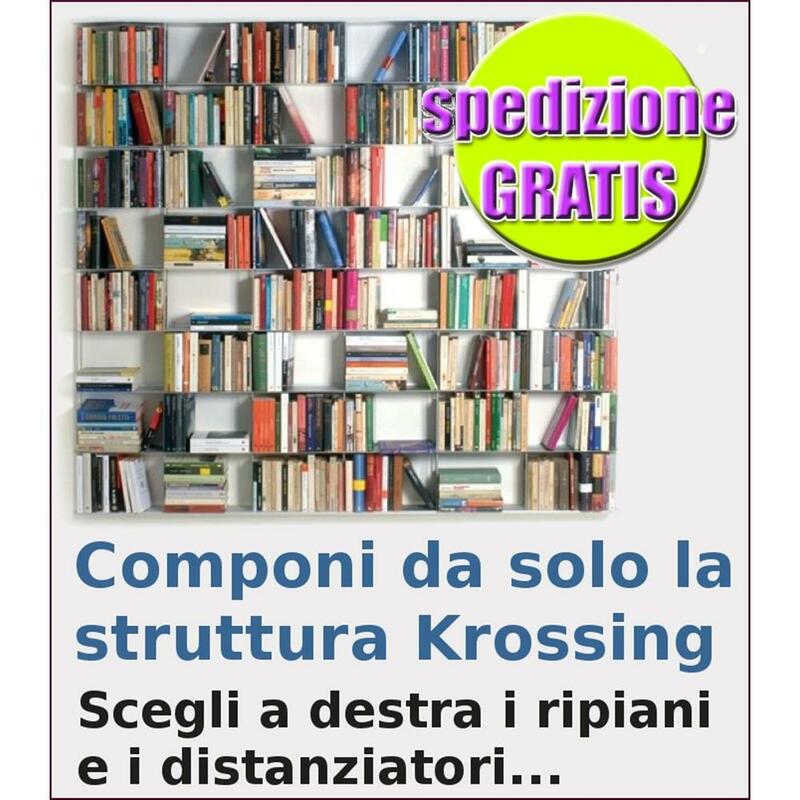 Krossing consists of shelves of different lengths, from 34 cm up to 200 cm, which can be joined together with spacer tubes of different lengths. 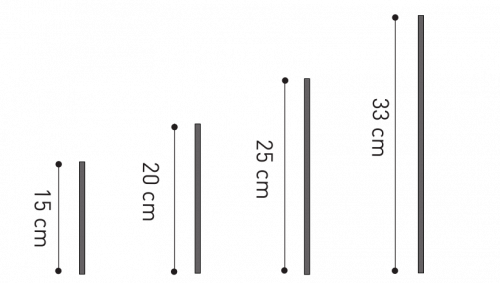 The 15 cm spaced shelves allow you to insert CDs or objects of the same height, those 20 cm apart allow the insertion of DVDs or small books; those 25 cm apart allow easy insertion of "novel" format books. 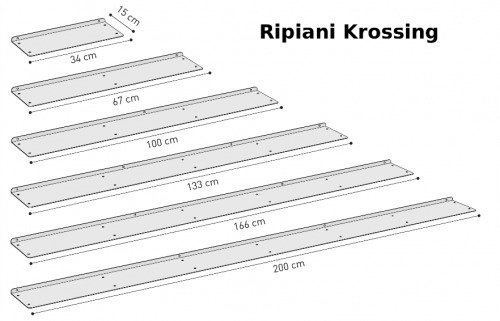 The shelves are 15 cm deep and are available in 6 different lengths, 34, 67, 100, 133, 167 and 200 cm. they can be combined with each other even with different lengths to create particular shapes. The tubes can be 15 cm, 20 cm, 25 cm and 33 cm high. 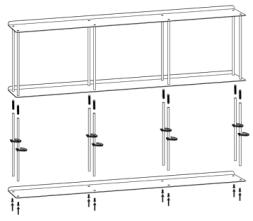 They can be bought in pairs, so, for example, to distance two 67 cm long shelves you need 3 pairs of tubes and to distance two 100 cm shelves you need 4 pairs.